We design effective email marketing campaigns that work. We use advanced marketing automation tools, list segmentation, workflows, and logic procedures. There are many who think that email marketing is dead and gone when in actuality, it’s spamming that is a done deal. Emails that are carefully targeted and made personal have a strong impact on marketing for most businesses and is very much alive. From there, you can create a personalized email and send it to specifically targeted groups within your email. Never Let Your Email Marketing Come Across As Spamming! Always provide your potential customers with valuable information that provides them with answers to their problems and for their business needs. Through email, you want people to move toward your website and become engaged in your content. Can Our Email Marketing Consultants Help You? 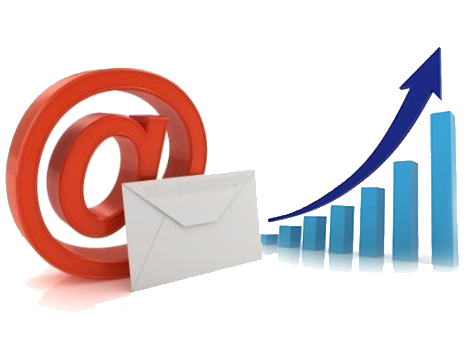 At Peak Marketers, we design very effective email marketing campaigns that really work. As specialists, we use marketing automation tools that engage and nurture leads. Our strong point is creating clear email workflows which will keep your customers and potential customers engaged with important and relevant material that will depend on their level of connectivity with your website. We design our emails very carefully and personalized them to guarantee your material is delivered to them. Even more importantly, the emails are being opened and read by your customers and potential customers. In order to determine the best way to interact with your leads, provide potential customers with useful content that will push them down your sales funnel while keeping your existing customers. We use advanced marketing automation tools, list segmentation, workflows, and logic procedures. Email marketing is cost effective and can be an excellent way for a business to stay in touch with their customers and potential customers. As a business owner, you can hold their attention and keep them engaged for a longer period of time. Give them reasons to contact you if they have problems you can solve. If you are having problems reaching your contacts through email, we will conduct a thorough assessment of your email open rates and click-through rates. After that, we will make several recommendations. Our team of email marketing consultants will give you advice for the best approach and help you create a personalized, tailored email marketing method that will engage your potential customers using your website. Our consultants can automate your method and continually deliver your sales questions through a sophisticated lead nurturing method with timely, relevant content. Ready to Talk About Your Email Marketing?